Yesterday, I went for a short trip to a calm and serene village. 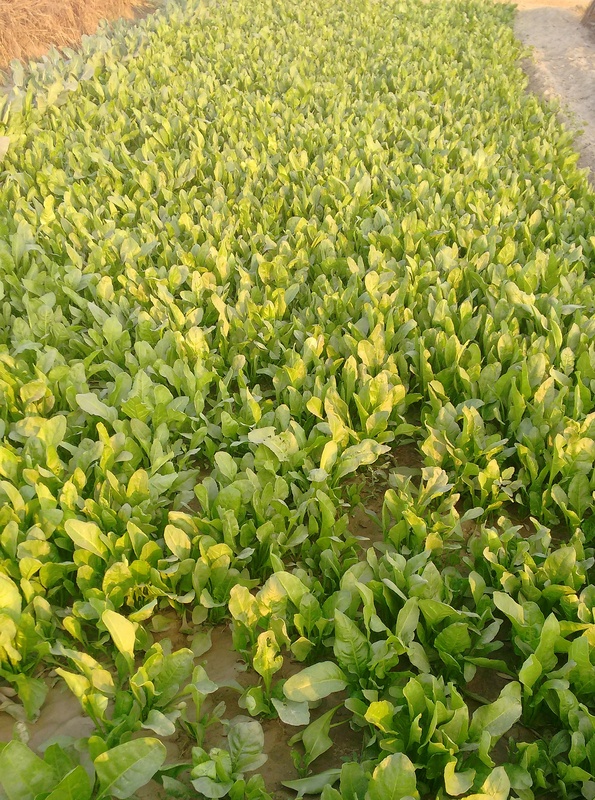 On my way back, I asked the farmer for 1 kg of Palak. This farmer was very generous. 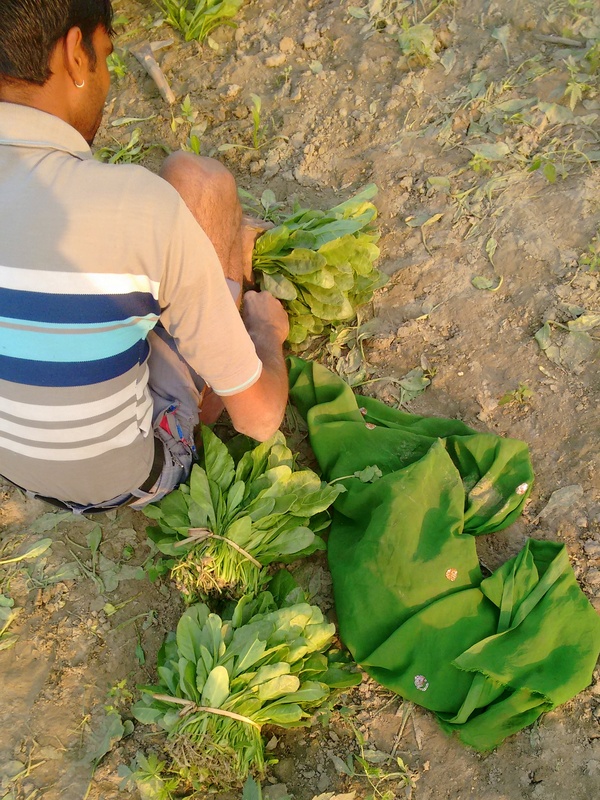 He packed almost 3 kgs of Palak. 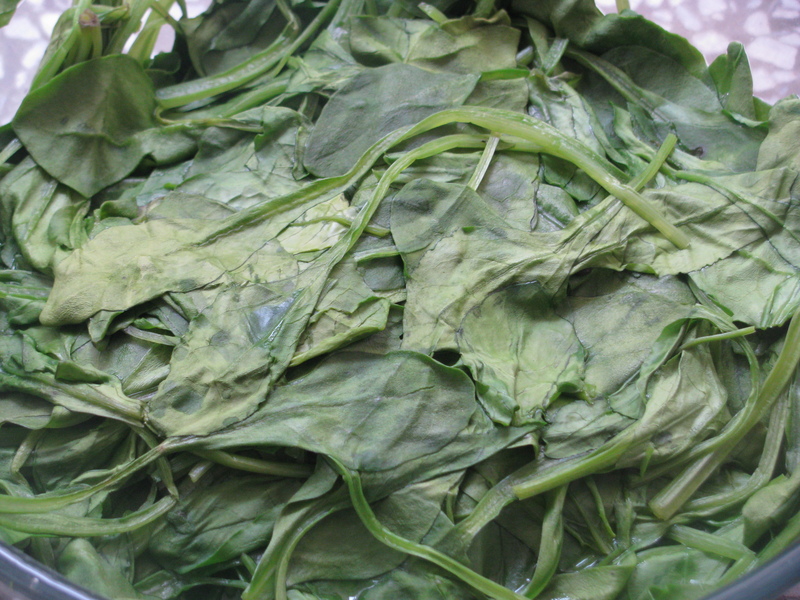 I wondered what I would do with so much palak. When I came back home, I gave some of it to my neighbor. Next day, I made Palak Paneer. My elder kid asked to make Spinach rice and I made that too. 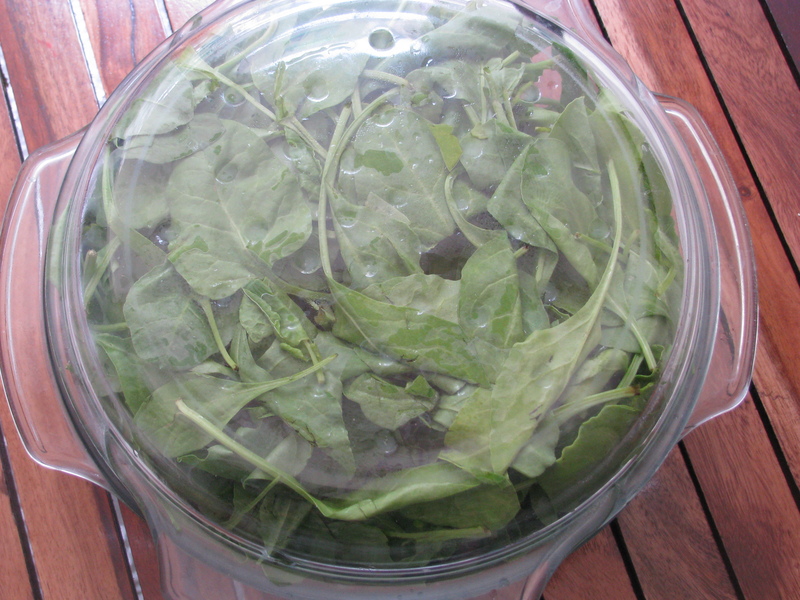 And still a lot of Palak was left in my refrigerator. After giving a 2 days’ break to green leafy veggies (:-)), I made this tasty Palak dosa for our breakfast. This recipe turned out so well that I had to share it with you all. It is a quick recipe if leftover Dosa batter or different types of flour are available at home. It is very easy to make and a good makeover for our white Dosas. Hope you all will enjoy it! 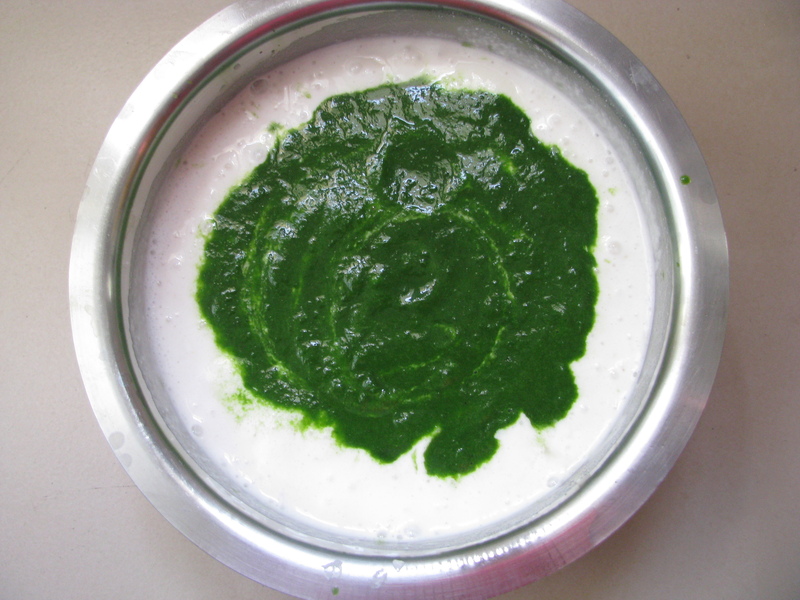 This is easy to make Palak recipe for breakfast. Palak dosa or Spinach dosa is an instant dosa recipe which doesn’t require much preparation. 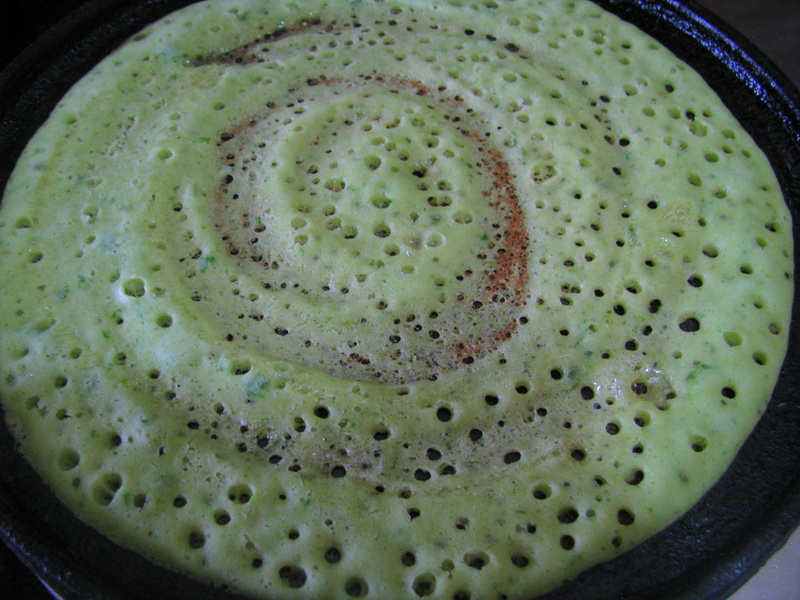 This green dosa looks very tempting and tastes awesome. It can be made with leftover Dosa batter or by using different types of flour. 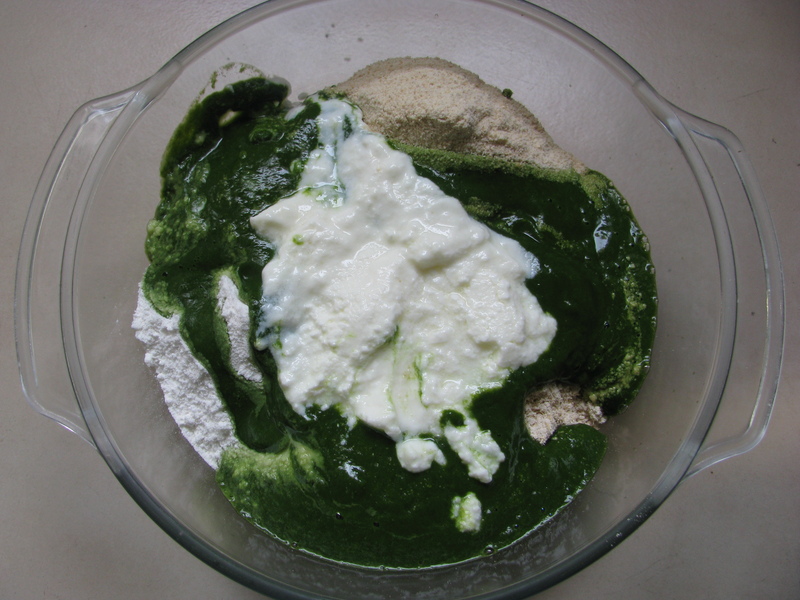 I have shared both – the recipes from leftover dosa batter and multi-grain flours. I have added coarsely ground wheat flour, rice flour, oats flour or ragi flour to make this instant dosa. Oats flour is optional but it tastes awesome in this recipe. I also added curd or butter milk to this recipe. Also check – Neer dosa recipe/ dosa with fresh coconut milk. 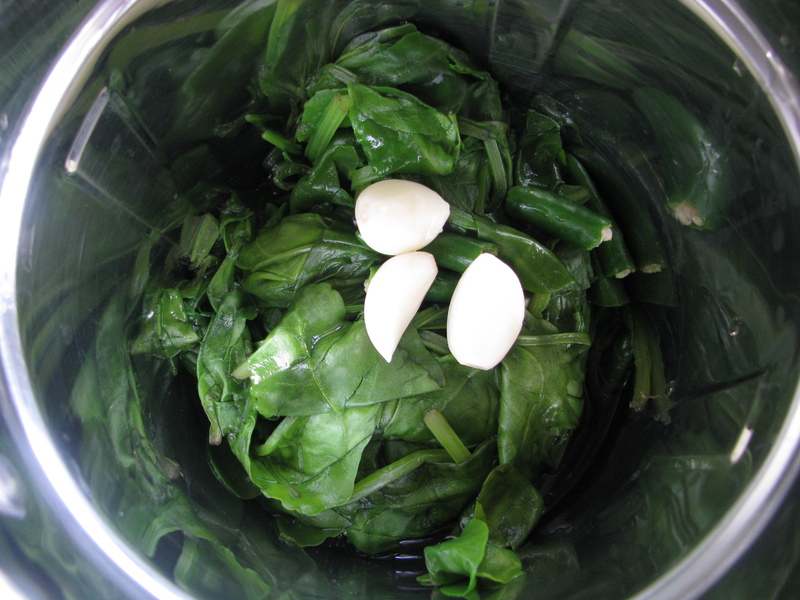 I cooked Palak in microwave or pan to make Palak puree. 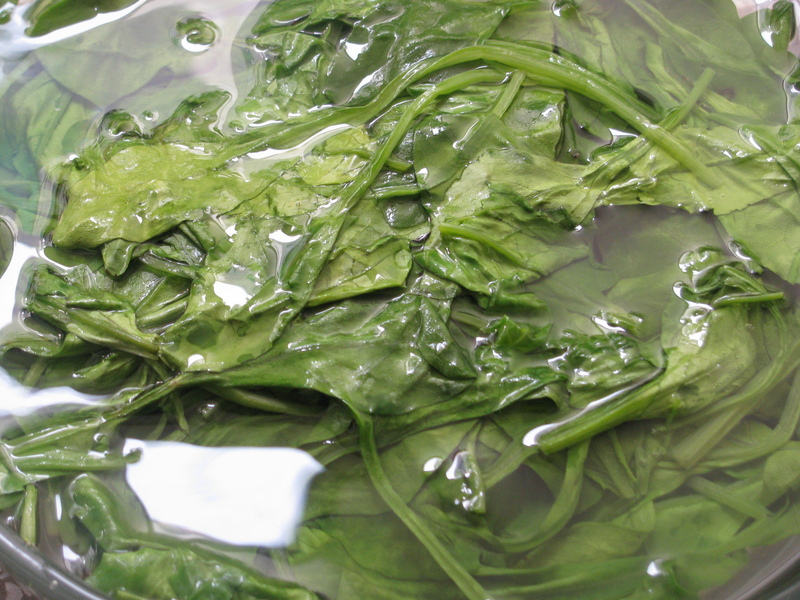 When Palak is cooked, I immediately added cold water to it. 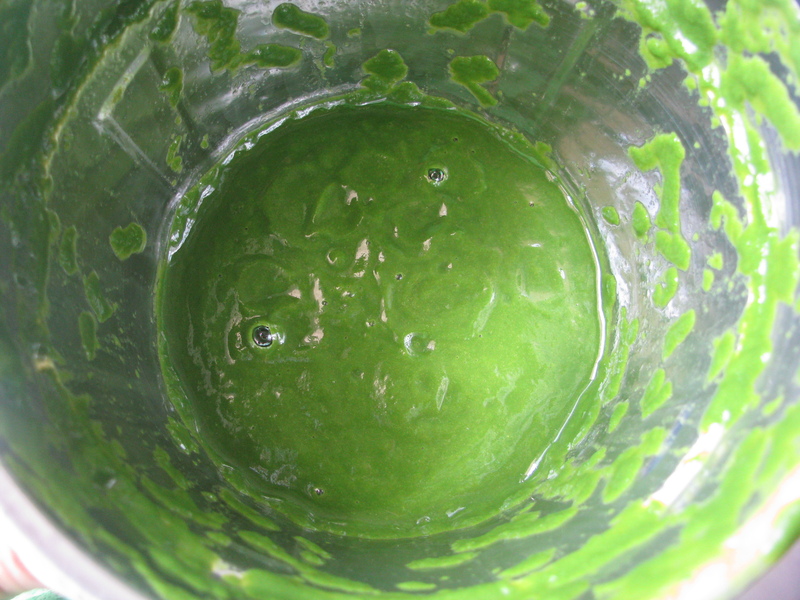 This method gives nice green color to Palak puree. 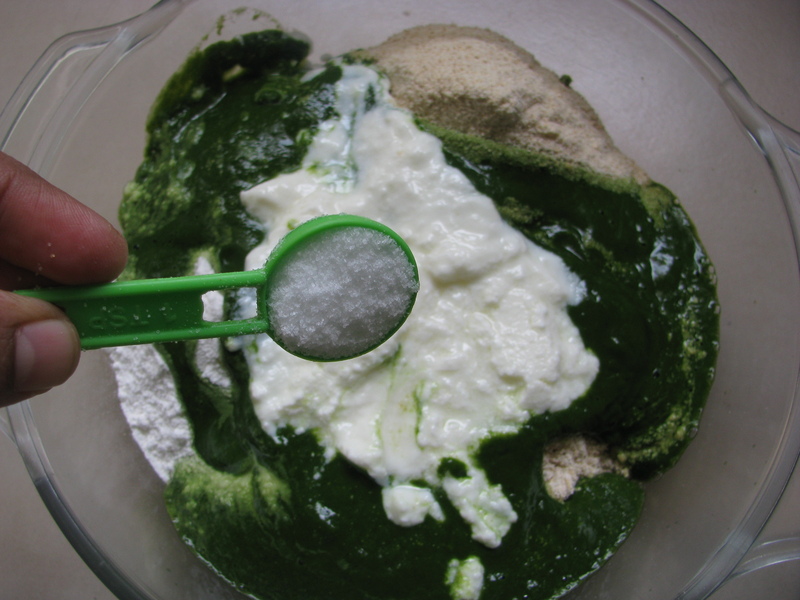 This puree can be used in Palak based gravies like corn Palak, Palak paneer, Palak puri and even in Palak rice or khichdi. 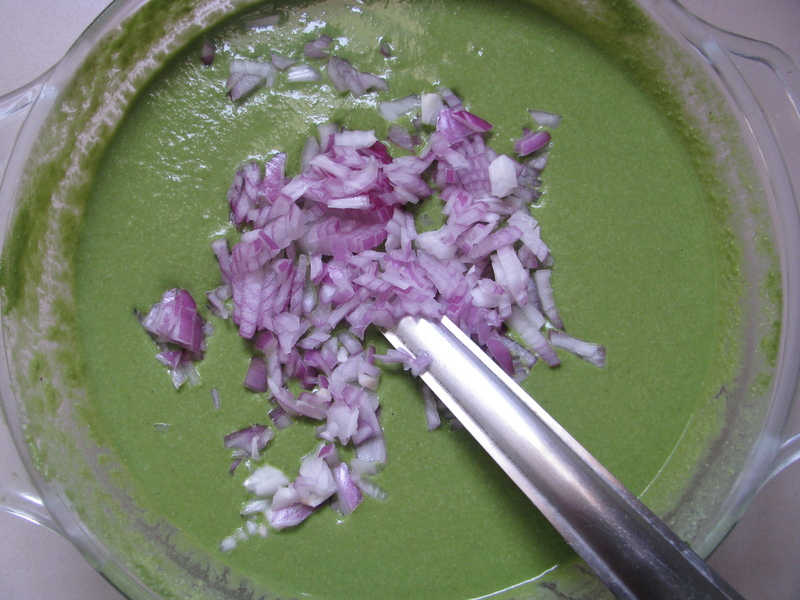 In this dosa I am using the same Palak puree. 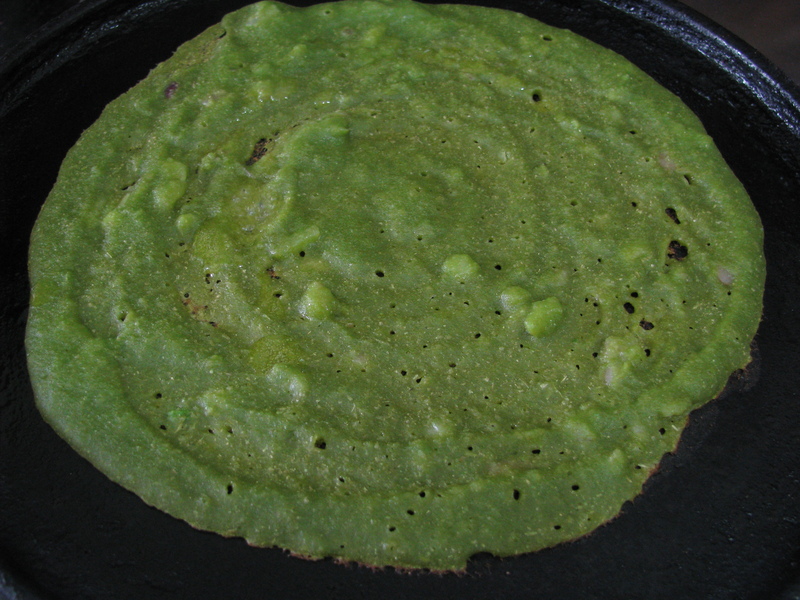 Palak dosa can be made by mixing different types of flour like while wheat floor, Oats flour, rice flour or ragi flour. Most of the times, we don’t know what to do with leftover dosa batter. Well this recipe is an interesting way to use it. 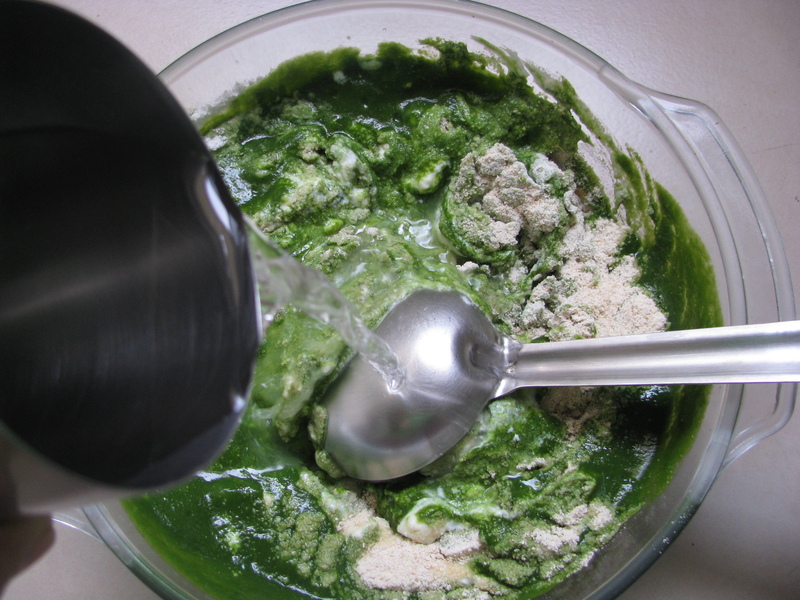 I have mixed palak puree in Leftover dosa batter at my home. 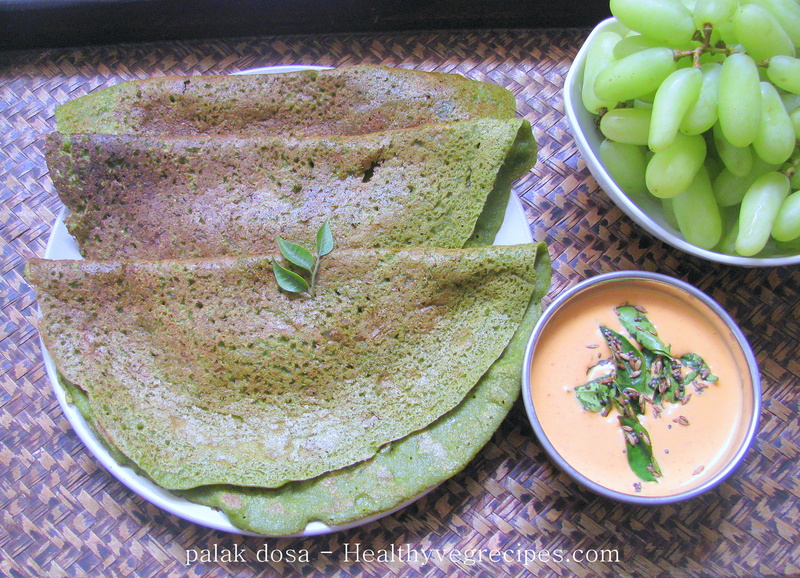 This Palak dosa are little spicy with nice fermented flavor. 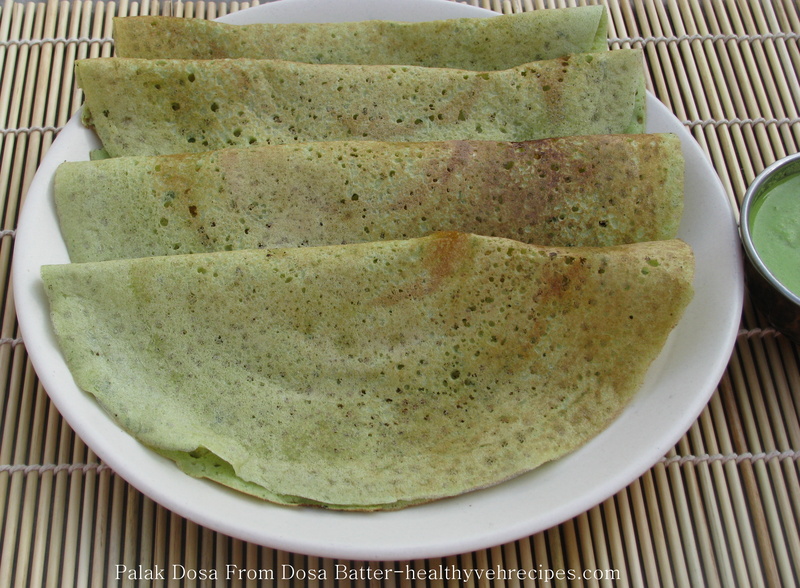 When you make palak dosa from multi-grain flour it has lots of health benefits. Multi-grain dosas are high in complex carbohydrates and proteins. Complex carbs are great for energy production and this can help in exercise and losing weight. They have low glycemic index i.e. they break down slowly and can provide energy for longer period of time. 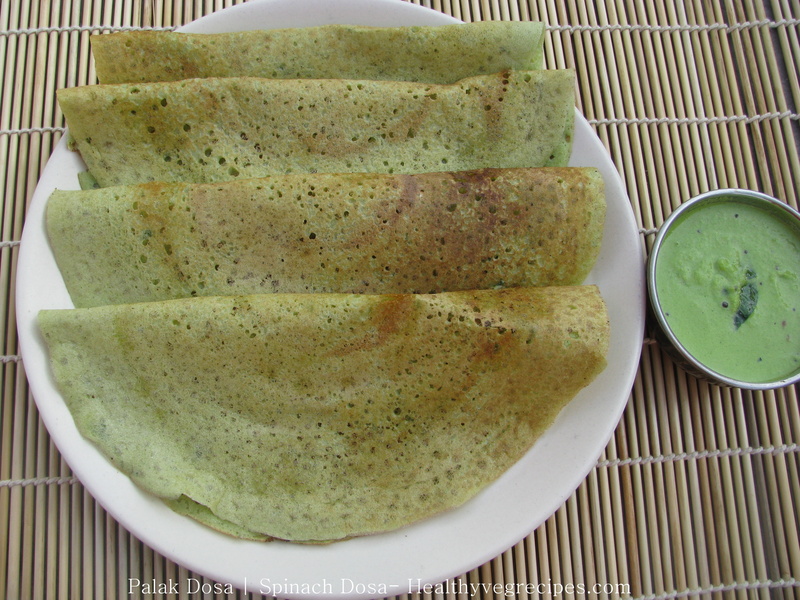 Palak dosa made from multi grain flour with goodness of Spinach makes it very healthy. 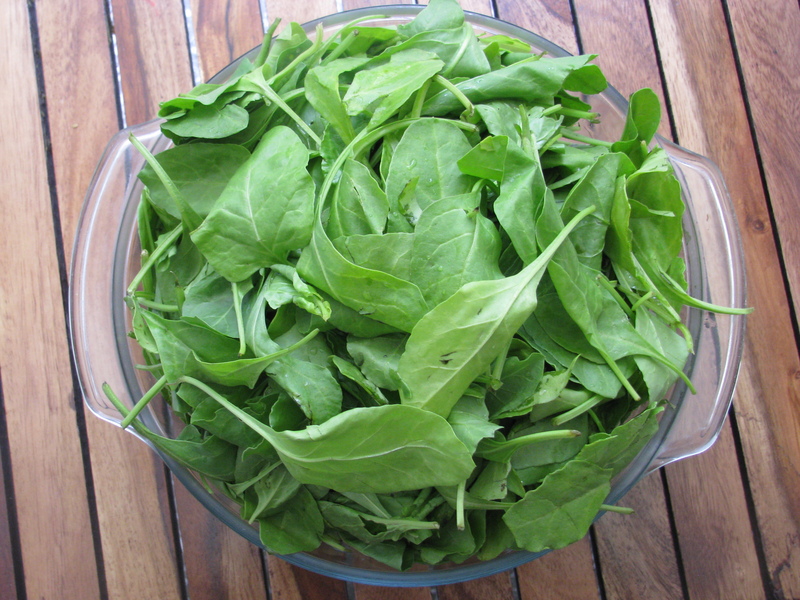 Spinach is rich source of calcium, iron, vitamin A, vitamin C. To make kids eat Spinach is little difficult for many parents. For them, this Dosa Recipe will work really well. I have explained step by step method to make this easy Palak dosa from both multi-grain flour as well as leftover Dosa batter. Do share your suggestion for this recipe. 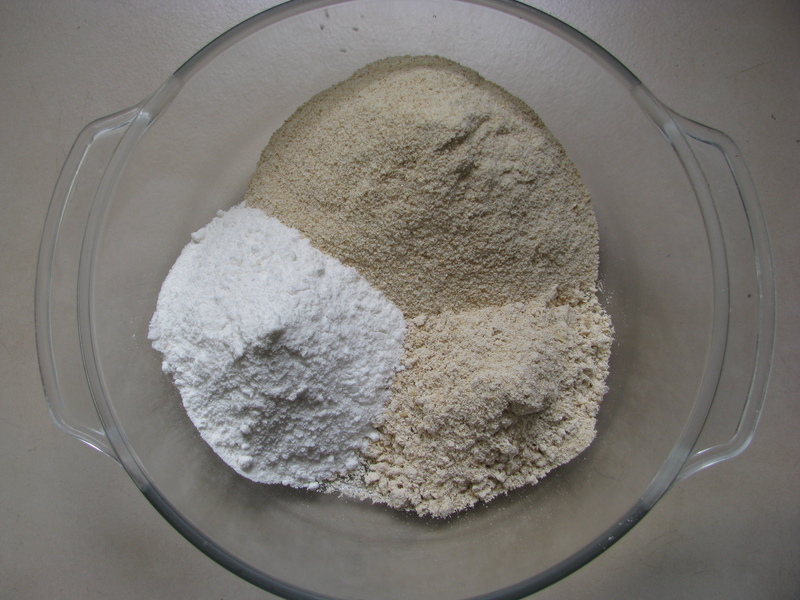 If your using multigrain flour, take all the flours in a bowl.